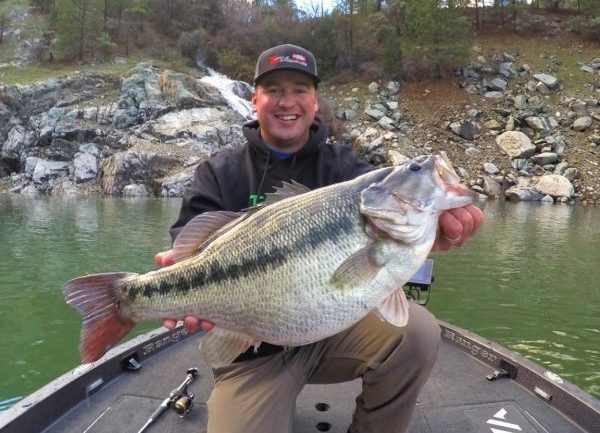 When professional angler Cody Meyer hooked a 10.8-pound spotted bass at Yuba County’s New Bullard Bar reservoir, he didn’t know quite what to do with the catch. Meyer thought it might be close to previous record set by his friend Tim Little, but he knew the fish must be weighed by official certified scales to qualify for an International Game Fish Association record. So Meyer called up his buddy Little, who’s record he had suspected he may have beaten. And what does Little do, but drive three hours to help Meyer weigh the fish properly? Meyer, who is a professional bass fisherman earning up to $900,000 per year, told the story recently to the Sacramento Bee. Talk about a true friend. Any number of petty record holders might make up an excuse not to assist the angler who would best him in the record books. The fish turned out to weigh just slightly more than the 10.6-pound spotted bass Little caught at the same location back in 2015. But it won’t for a few months before the record can be made official.